Not such a bad guy after all? 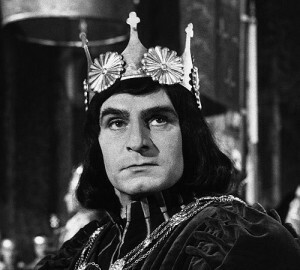 Olivier as Richard III, 1955. Shakespeare’s Richard III is one of fiction’s classic villains, a schemer who knocks off one family member after another on his way to the crown. Even his mother the Duchess would rather he was dead, and she gets her wish by the end of the play. King of England for just two years, Richard died at the battle of Bosworth Field in 1485, making him one of the last victims of the War of the Roses. Opinions differ as to how nasty the historical Richard was, but it’s safe to say that, until recently, he hasn’t had a very positive cultural legacy (although he did make 82 of 100 in a 2002 poll of greatest Britons). That might be changing. 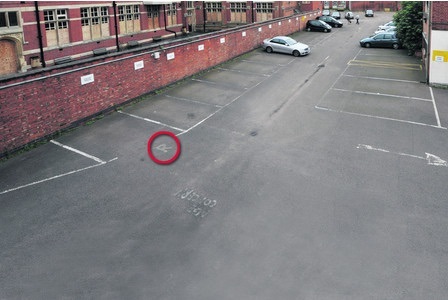 In 2013 archaeologists digging under a parking lot in the English Midlands made international news when they claimed to have found the king’s remains. 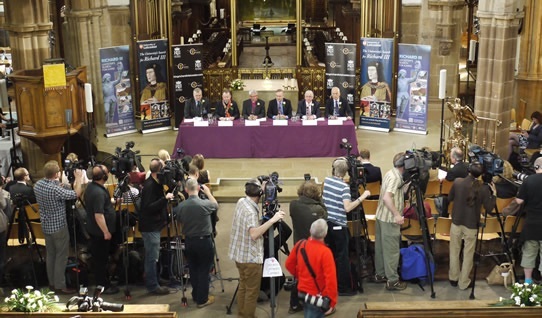 In this post, I take a look at Richard III´s extraordinary return to the public eye over the past two years: it’s a story about much more than archaeology and historical inquiry, as it turns out. 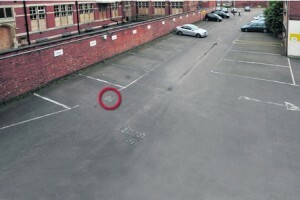 What makes you look for a king in a car park? It starts with a crusade to rehabilitate an infamous scoundrel. Since the 1920s, a small but dedicated circle of “Ricardians”—the Richard III Society—have been challenging what they call the king’s unjust posthumous reputation. Inspired by passion for medieval history, desire to right an historic wrong, and even family pride (the Society’s patron is the current Duke of Gloucester), the group offers an image of Richard as a man of his time, and perhaps even a good king. They have also, since 2009, poured a significant amount of time, and money into the search for his grave, not to mention generating media attention with their enthusiastic and sometimes eccentric interest in the king. Members even launched a search for his living descendants, and managed to locate a branch of the family living (where else) in Canada. This is all in the best tradition of the “amateur” historian—in the Victorian sense of the word—although it is worth noting that the Society’s ranks include professional historians as well. All of their efforts would have been for naught, however, if Richard’s possible gravesite hadn’t been located in a city eager to put itself on the map. Leicester is a pleasant but unremarkable (or at least mostly unremarked) English city of 300,000 located an hour north of London. In medieval times it was a market hub and political centre, in the 19th and 20th centuries a minor industrial powerhouse. Today, despite boasting two excellent universities, a number of well-preserved historic sites, and one of the UK’s most ethnically diverse populations, it struggles to project a positive image or attract tourism. Locals like it, but visitors skip it, and Londoners tend to look down their noses at it. Resting place of a king? Leicester politicians are well aware of this, and for years have been pursuing funding for revitalization of the city centre. This has helped build pedestrian shopping areas, protect notable buildings, and convert a former factory district into a much-publicized cultural quarter. But the city still lacks a central attraction like York’s Minster, or a compelling historical or cultural association (think Manchester and the industrial revolution, Liverpool and the Beatles) that resonates with the wider public. Many local boosters, including energetic Mayor Peter Soulsby, are now hoping that Richard III will fill both those roles for the city. 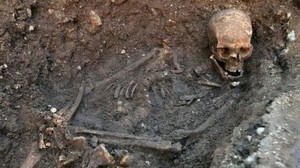 Beginning in the early 2010s, they enthusiastically supported the Richard III Society’s search for his grave, which fit with their plans to better highlight the city’s history. When his remains were identified, the city moved quickly to mount a temporary exhibit, and then create a Richard III Visitor Centre around the former Greyfriars site. This spring, the king will be interred in Leicester Cathedral in tremendous pomp and ceremony, generating another round of media attention for a city delighted to treat Richard—villain or no—as a native son. The University of Leicester, home to the archeologists who prepared and conducted the Greyfriars dig, has also got in on the action, taking a prominent place in media events and promoting the discovery on their website. That Richard’s bones could be such a boon for these different interests brings us to the final ingredient in this story: a public with a healthy appetite for epic searches for lost kings. The search for and identification Richard’s mortal remains has everything we seem to like in popular history: royalty, mystery, and a healthy dose of blood and violence. Not to mention a dispute over DNA evidence worth of TV procedural dramas like CSI. All of this was followed avidly in the press, on TV, and on the internet, where articles on Richard, his life and times, and (for the first time in a while) the city of Leicester, proliferated. 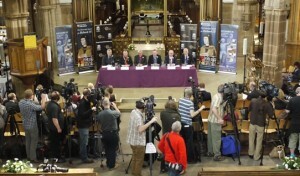 Some historians criticized the media circus that surrounded the discovery. Renowned classicist Mary Beard, for example, called the announcement “great fun,” but questioned whether it had any real historical significance. 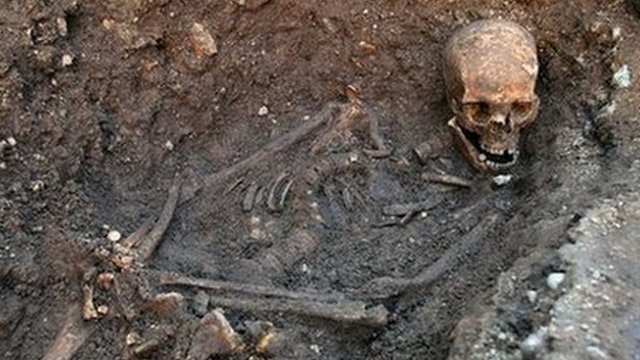 It’s a worthwhile point: while the Richard III Society, the City of Leicester and the University of Leicester all hope finding Richard will benefit them, it’s not clear what historical knowledge we really glean from digging up a single individual grave (however famous the individual). As other historians pointed out in the Twitter-storm that followed the identification, we’d probably learn more about the daily lives of people in the late medieval period from the bones of an English peasant—but likely no one would attend the press conference, let alone fund further digs. But I think that criticism says more about the financial worries that attend academic research these days, and the constant pressure to produce tangible, “real-world” outcomes (like some famous bones), than the importance of finding Richard III’s grave. Because, to me at least, that has little to do with the discovery’s significance to academic history, which might very well be zilch. What matters is the way in which people—whether amateur medievalists, local politicians, or newspaper readers—have become invested in understanding and discussing fifteenth-century England, the monarchy, and history and archaeology more generally, as a direct result of the whole saga. Not only does mediatized history like this create interest in what we do, but it also helps boost the place of history in the public realm. That can be seen very tangibly in the Richard III Visitor Centre (which manages to sneak some solid social history in), and Leicester’s plans for more history-led revitalization. The jury might be out on what good–if any–Richard III did in life; but I think it’s safe to say that in death he’s exceeding all expectations. This entry was posted on January 30, 2015 by Daniel in Active History, public history.